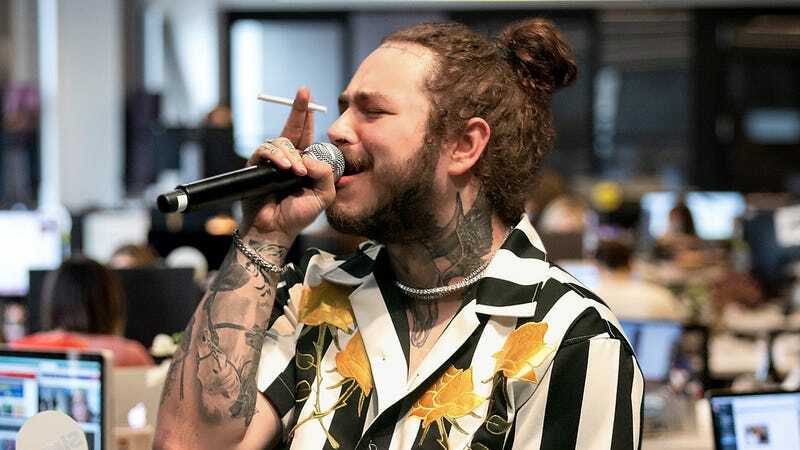 While it often seems like companies care more about making money than their own employees, here’s a heartwarming story that proves that some companies are still putting their workers first in the coolest way possible: This awesome digital media company hired Post Malone to entertain laid-off employees with amazing music while they cleaned out their desks! Okay, this has got to be the coolest workplace ever! Anyone would be lucky to work there. As dozens of people packed up their things after being laid off from their job at a New York-based digital media company earlier this morning, they got the surprise of a lifetime when pop superstar Post Malone appeared in their office kitchen to perform his hit songs live as they put their belongings into cardboard boxes. The awesome millionaires who own the company went out of their way to turn a boring day of mass layoffs into a once-in-a-lifetime musical experience that none of their lucky former employees will ever forget! Toying with the livelihoods of hundreds of employees to appease the whims of a hyper-wealthy board of directors has never looked so trendy! It’s great to see a company go above and beyond like this for their staff. Just think how cool it would be to hear Post Malone spitting his awesome verses as you frantically transfer files from your work email to your personal email before your work account gets permanently shut down! The amazing media conglomerate even had Post Malone close out his 15-minute concert by posing for photos with the people who had managed to pack up their desk quickly enough to have a few spare moments before a security guard escorted them off of the premises. The executives running this company know how to make the workplace hip, and the people they just fired will definitely be bragging to all their friends about how their awesome bosses managed to get the Post Malone to sing for them as they left the office for the last time. Other companies, take note: This is how you treat your employees. Hats off to this incredible company for pulling out all the stops and being the most fun office ever!